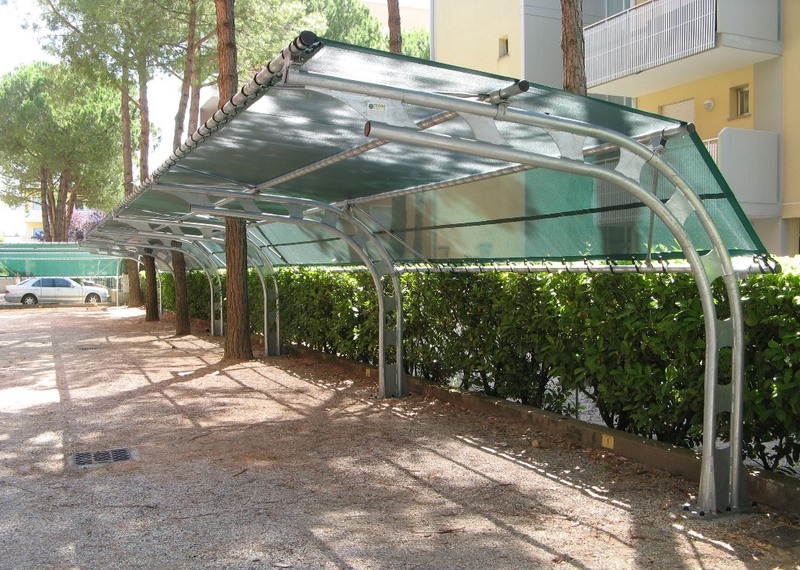 hot galvanized metal structure with permeable cover fabricshading / hail of pvc coated. Load-bearing structure in hot-dip galvanized steel, composed of modular cantilevered elements made of double curved tube with circular cross-section joined with special shaped plates. Connecting crosspieces and bracing elements in hot-dip galvanized steel tube with circular cross-section, fixed to each element / module with special clamps and collars. 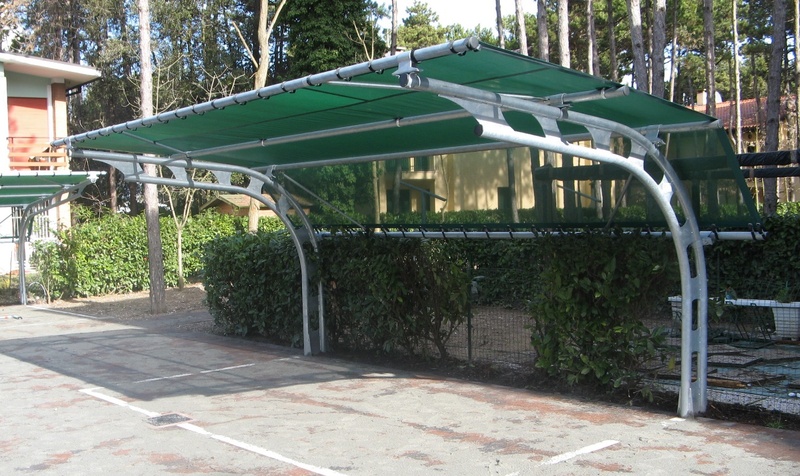 Permeable cover in polyester fabric, coated PVC specially designed to repair from the sun and hail, tailor-made with perimeter reinforcement and eyelets, complete with tensioning system, made using special UV stabilized high tenacity polyester straps. On request it is possible to paint the metal structure with powder treatment and wrinkled finish, with colors of your choice. 27 m/s equal to 97 Km/h ca. 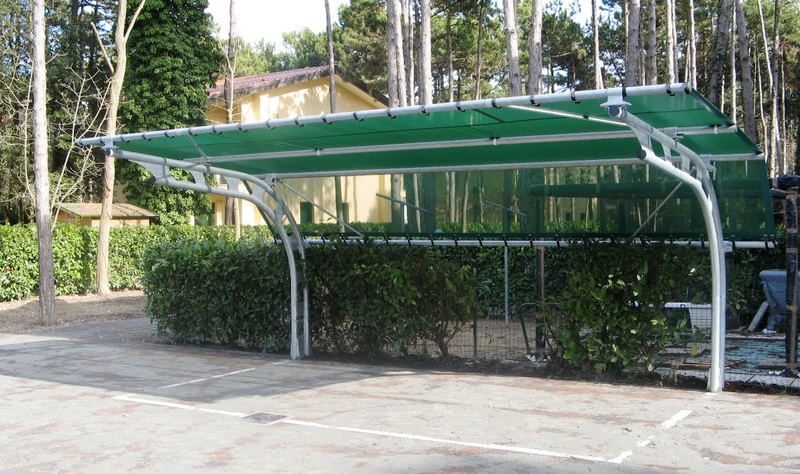 For any information call us at +39.0432.655121 oppure contattaci inviando una mail a info@tecnoserre.com.